As with every thing in my life…I wait till the last minute. Oh, it’s 6pm and there are whimpering children with hunger pains…I should probably figure out what is actually for dinner. Or, Logan turned a year old two months ago…I should probably schedule his one year check-up. I could go on for hours, but I think you get the picture. My life’s motto is a little backwards from most…”don’t do today what can be put off until tomorrow.” Am I supposed to put quotation marks around something that is actually being misquoted? I am sure Chad will let me know. 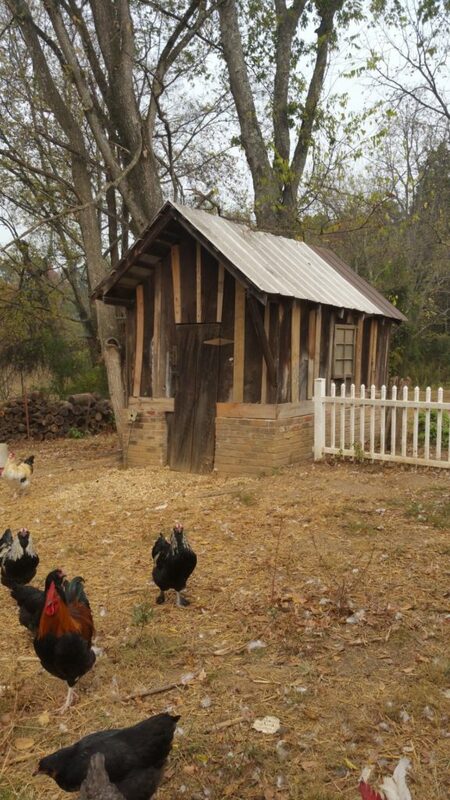 It will then come as no surprise that my chicken coop was to be built before we ever received our first batch of chicks. I already shared my fly by night chicken tractor build that I started and completed when our first set of chicks were 7 weeks old. 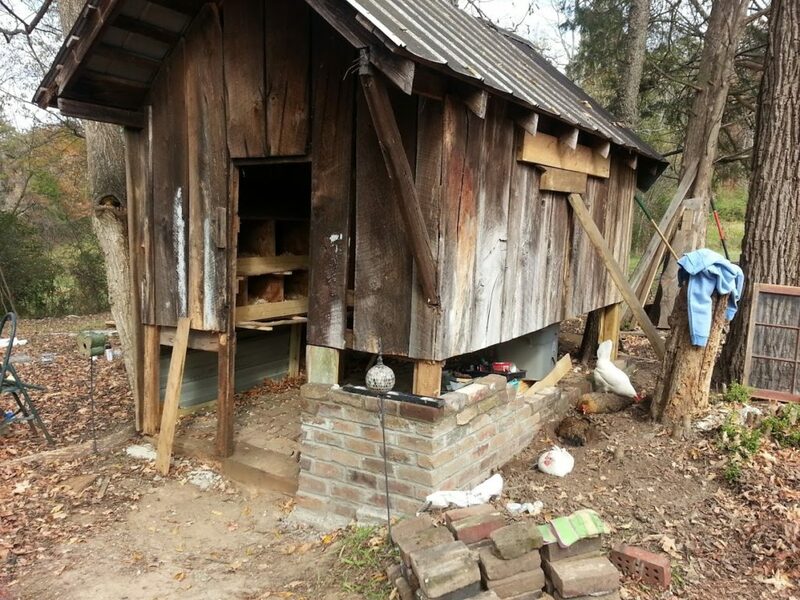 What I didn’t tell you was that the chicken tractor was never in the “plan” until a week before I built it. 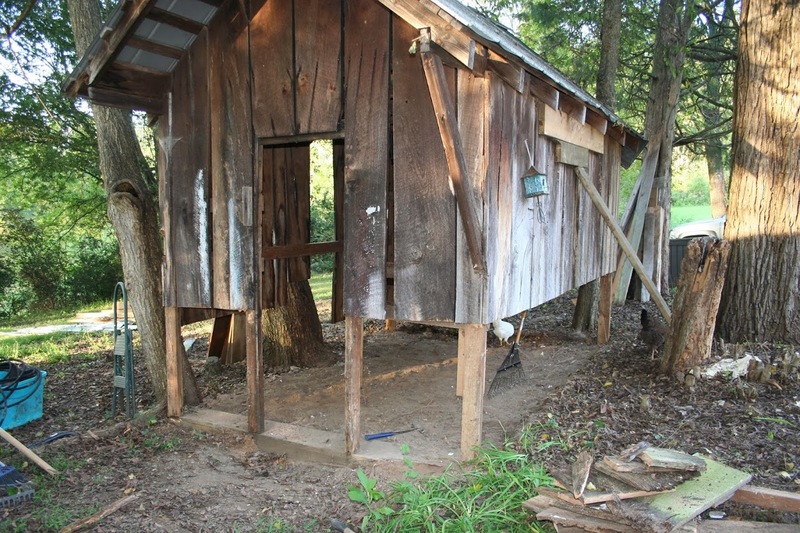 Our plan was to build a new chicken coop from the ground up, but that takes money. Money that at the time just wasn’t there. 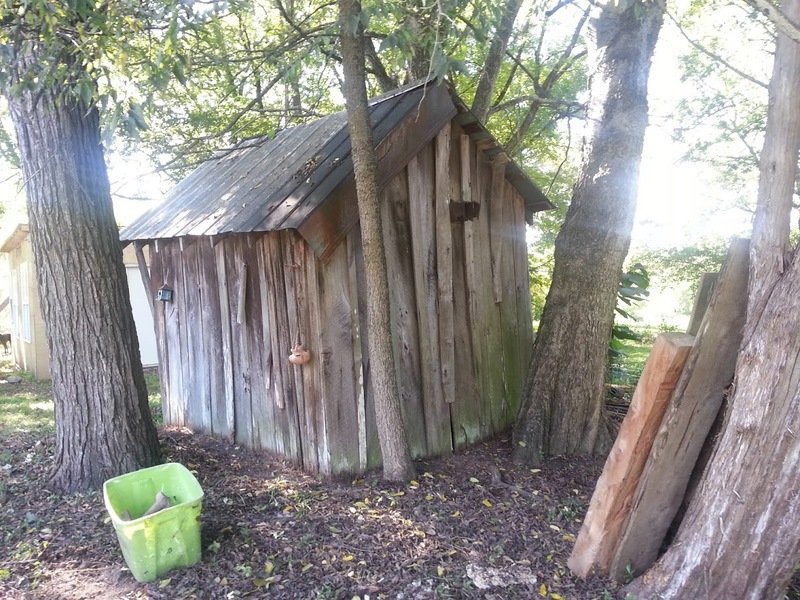 So I changed gears and realized that we could transform an old smokehouse on the property into a usable coop. The problem was it being 75 years old… the termites were starting to take their toll on certain portions of the building. I could picture the shabby-chic awesomeness that was to come. It was going to take lots of work… soooo much work, and time. Just for all you potential DIY-ers out there….just know there is a direct correlation between time and money. The less you want to spend on a project generally the more time it is going to take. 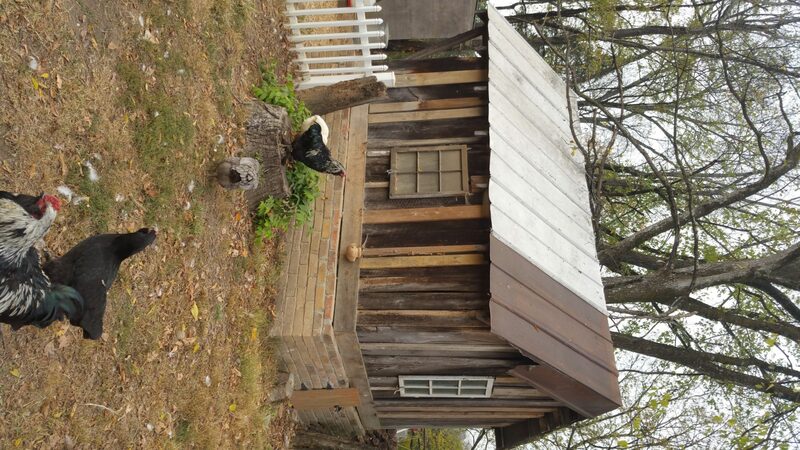 I figure building a coop from scratch would at most take 2 weeks and that is being generous on time. But hey, I had two little kids at the time and lots of distractions. As far as money goes, easily into the hundreds of dollars. I would guess at least $200 but probably closer to $300 if all the materials were bought new. Obviously the budget could go way up depending on what materials and accessories you use, but we are going with a frugal mindset. 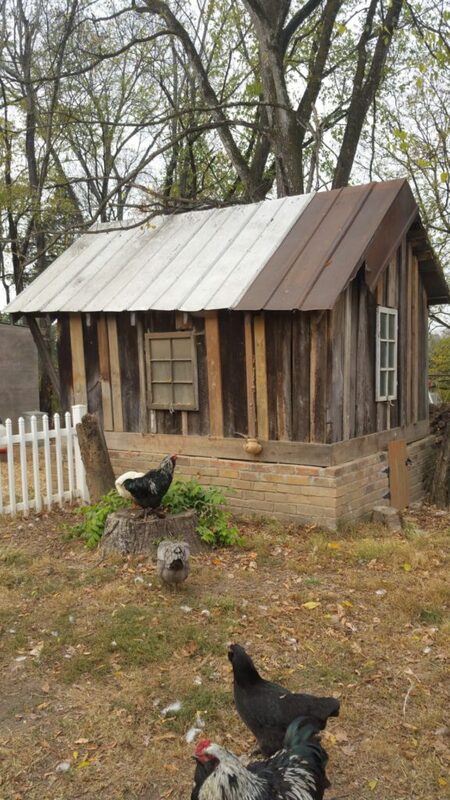 The reason why I believe going the route of saving money and fixing up an older building takes more time, is because there are so many things you just have to “wing.” It takes much more brain power to “wing” something than it is to start from scratch and say I want a 10×15 coop…BAM…crank it out. Not to mention this Mama’s brain power is pretty much shot all to heck. The building isn’t level?? I don’t care, I love it, it gives the coop character you can’t buy. Termites have eaten two and a half feet up the walls?? 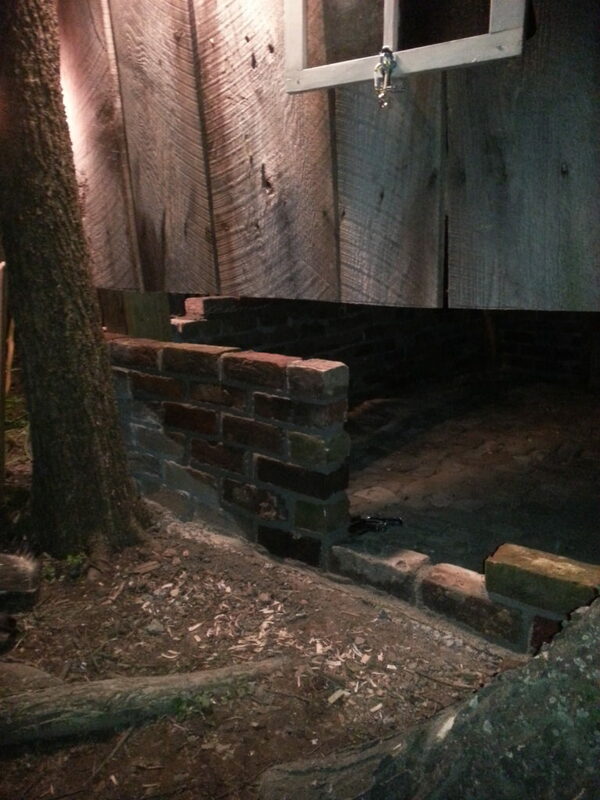 I don’t care, I will build a half wall with 100+ year old bricks from this very property…and it is…going…to be…AMAZING! Logistically, I have never laid a brick in my life. There are no windows or sources of light?? I don’t care, I will cut some holes and hang old windows on hinges…it will be awesome. Logistically… have you ever used a jig saw on 1+ inch solid oak, that has been seasoned for 75 friggin years?? Those beasts are hard as nails. For which, I am somewhat thankful. Otherwise the termites would have eaten the entire thing. All of those things “I don’t care” about called for an exuberant amount of “winging.” There were some days I just had to walk away. Like the day I mixed the mortar wrong and after hours of hard work laying five rows of brick, it all came apart in my hands. Yeah…I stayed away for two months after that one. I can only handle so much and winter set in, so I was going to be taking a much needed break anyway. But later that spring I went back to the grind stone. Why?? 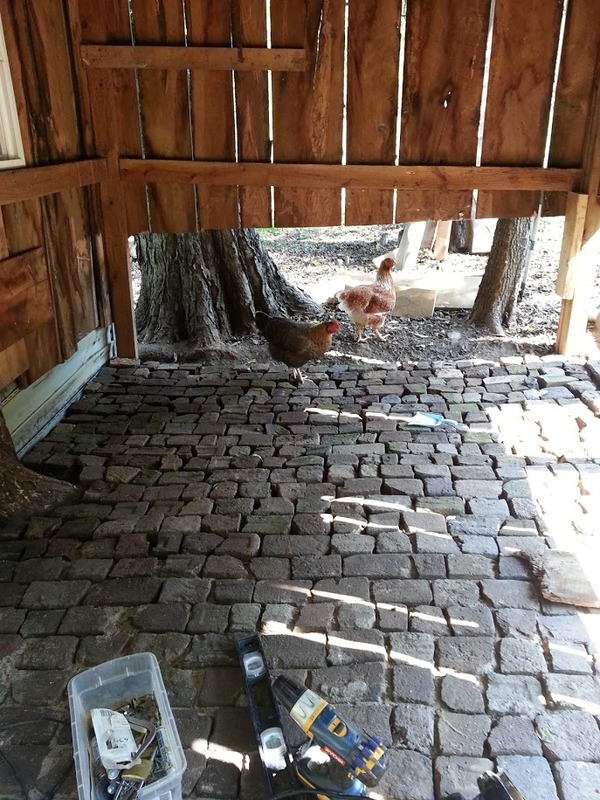 Because I could still see the awesomeness that was to come….and there were still chickens that needed a home. So, I kinda had to. 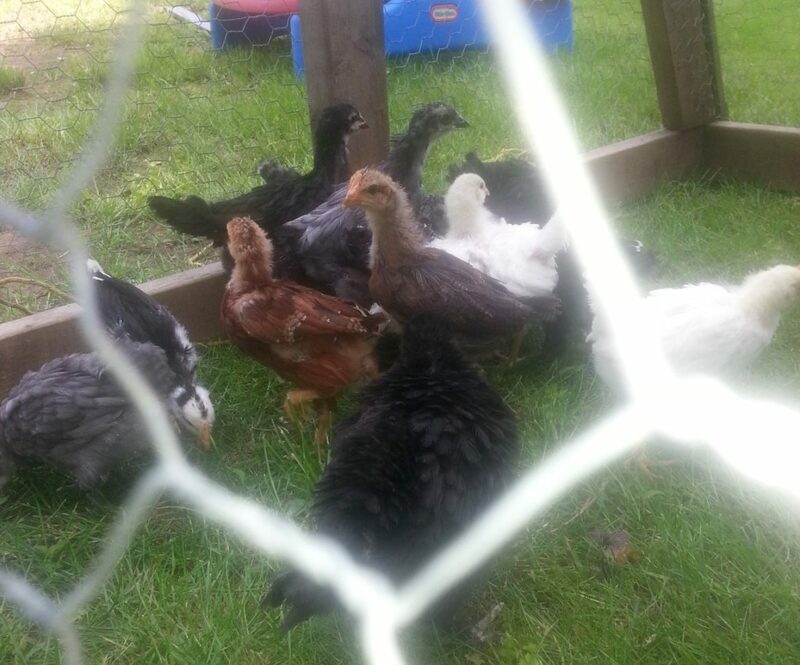 I started the project in September when the chicks were almost 6 months old. 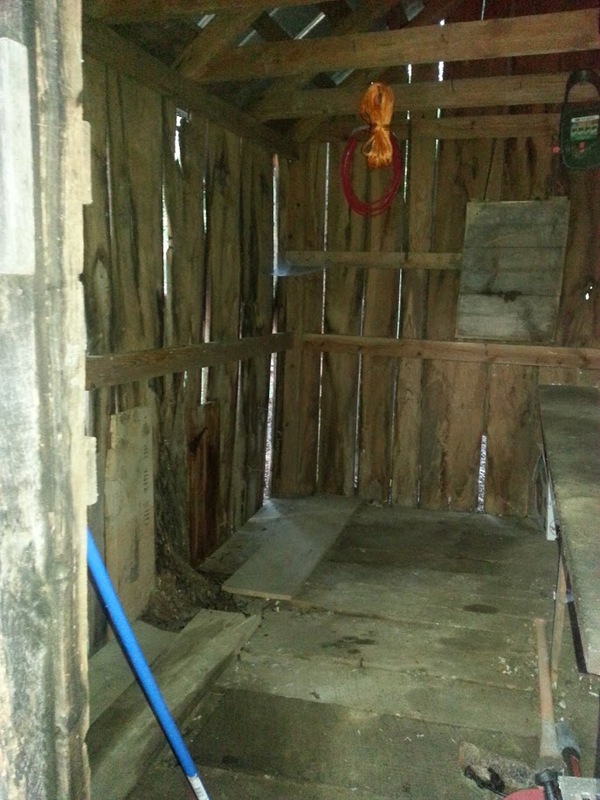 The coop wasn’t actually finished till the following May when they were one year old. If we take into consideration the 2 months I “walked away” and the time spent working on the garden and planting, I worked for 3 months on this project. Keep in mind I had two littles, homeschooling one of them and working on the coop in my free time. A.K.A. after dark when Chad got home. Someone who can devote 8 hour work days could get it done way quicker. But let’s get away from the trials of building and get to the fun part! The pictures where it all comes together. Not everyone gets to have a wealth of knowledge, in regards to their property’s history, living next door. Fortunately enough for me, I get to have just that. 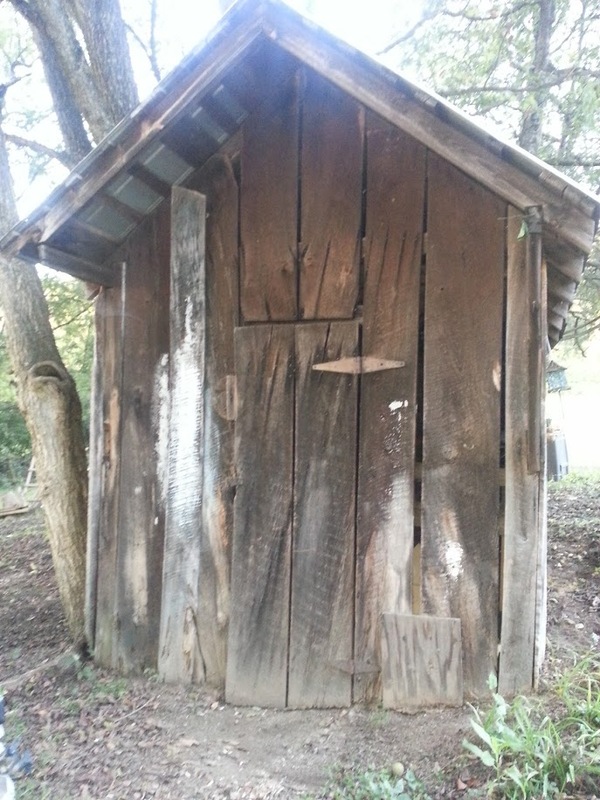 If not for our sweet neighbors, I wouldn’t know that the smokehouse in my yard is around 75 years old. 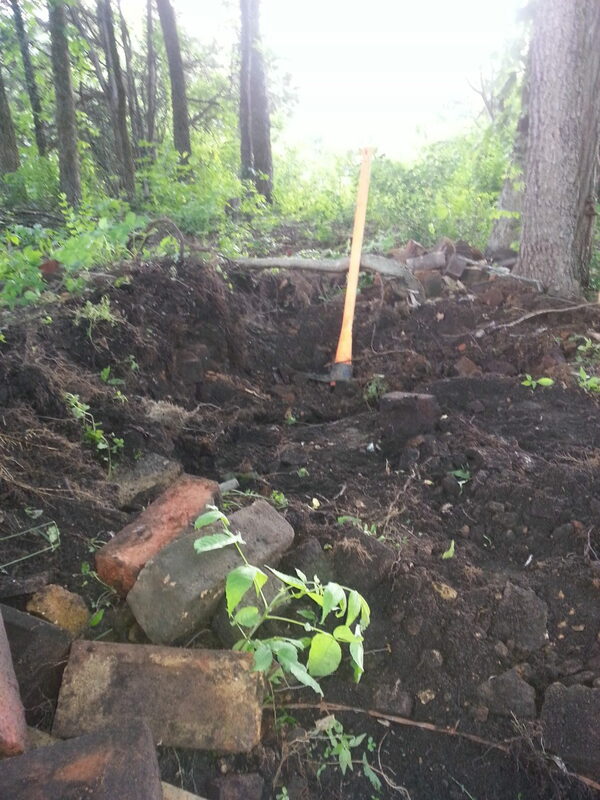 I also wouldn’t know that the pile of bricks, laying under years of leaves composted into dirt, are from the original house that are around 100 years old. Or that the field in my back yard used to be an orchard. They would all have to be things I appreciated but knew nothing about. For this, I am thankful that the Lord saw fit to bring us together. We can now pass on the history of those who came before us. Now to the “winging” section of this project! We decided to cut the entire bottom of the building off due to termite damage. 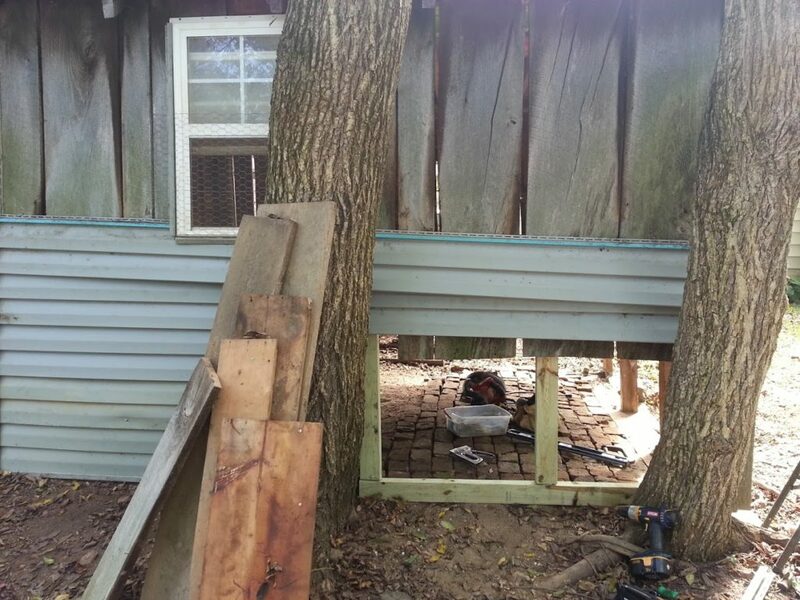 The left side had two trees growing out of it so we used some leftover siding from our previous house to build a wall around the trees. My brain is still recovering from that one. The floor was made of mostly broken bricks. I love how awesome it looks. Too bad it is covered 100% of the time with pine shavings. Ugh. Built nest boxes and started laying my first bricks ever! This is the biggest project I have ever done to date and it is one of my favorites. I love the history, I love having made it myself….I just love it.